Your Alameda Turquesa booties will be shipped within 24 hours. Free shipping with DHL express. It will be delivery at your doorstep in 3 days. Our booties are a unique statement piece. 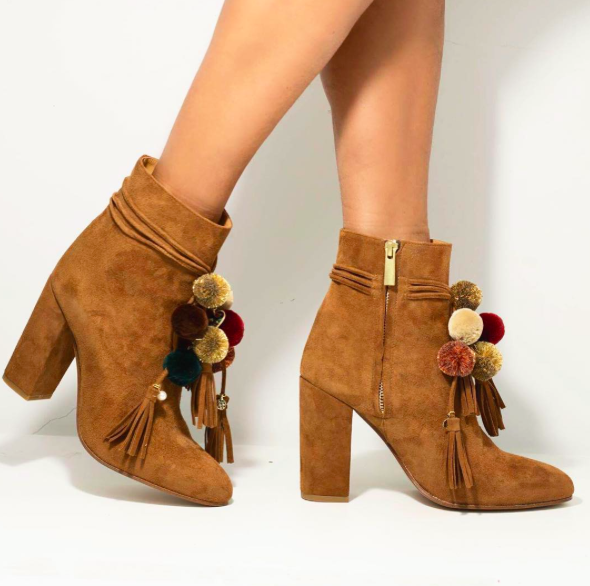 Handcrafted from our luxurious suede leather, these boots have exquisite details handmade details. Pearls, crystals, pom poms and a hand painted ceramic piece in a heart shape. 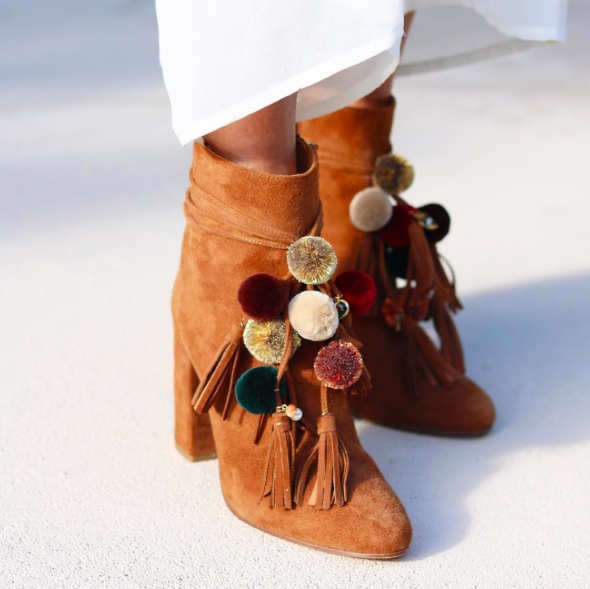 The trims and tassels are made in suede leather as well.